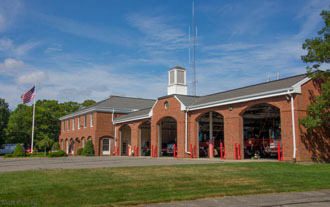 The Centerville-Osterville-Marstons Mills Fire-Rescue and Emergency Services is a full-time department operating with fire-rescue stations in the villages of Osterville, Marstons Mills and the Headquarters Station in Centerville. The Department was formed in 1926, building fire stations in the villages of Centerville and Osterville with one 1925 Maxim for each village. 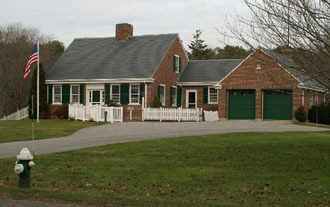 Marstons Mills became part of the District in 1956 and a fire station was built there during 1974-1975. The District encompasses approximately 26 square miles, 8 miles of open ocean with many bays and inlets. The District has a population of approximately 28,000 year round residents and a summer population of over 40,000 in June, July and August. The Department consists of four shifts of 12 Firefighter EMT’s and Paramedics with a minimum assignment of a shift commander and three Firefighters at the Headquarters station and three Firefighters assigned to each station in Osterville and Marstons Mills. All stations operate an Advanced Life Support Ambulance. The Department operates four engines, one 100′ Quint Aerial Ladder, one Brushbreaker and one forestry vehicle. Each station has a small boat for water rescue and the District keeps a 22′ Boston Whaler Fire-Rescue boat at the Osterville boat basin from April to December. The District also operates a 15 member Dive Team and Dive Truck. The Department operates with its own Communications Center with four uniformed Civilian Dispatchers and they also dispatch for the Cotuit Fire Department. COMM Fire has two Fire Prevention Officers, one EMS Officer and one full-time mechanic all of whom work Monday through Friday days along with a Fire Chief and Deputy Fire Chief. 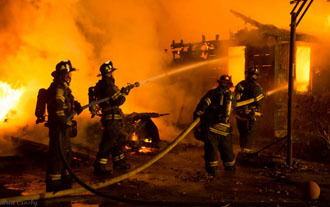 The COMM Fire-Rescue Department responded to 4,033 calls in 2011 with 2,846 ambulance related calls.